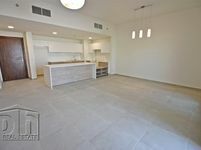 Jumeirah Golf Estates is a villa community set around two championship golf courses. 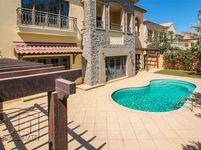 The Mediterranean styling in this community sets it apart from other communities in Dubai, making Jumeirah Golf Estates stand out as a prime location for villas in Dubai. 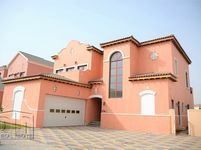 Jumeirah Golf Estates is a villa community for affluent residents in Dubai. 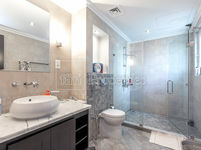 Villas are large and fitted with top quility finishes. Each villa comes with a cosy little garden where residents can entertain, and soak up the lovely cool winter months outdoors. The residents of Jumeirah Golf Estates is generally quite an affluent subset of Dubai's population. Residents are generally older with children in their late teens. Residents wont be seen out and about in the streets, but you will see some of the younger folk jogging from time to time. 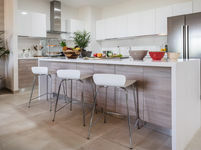 Jumeirah Golf Estates is a community set within lush gardens which are immaculately manicured. Two world-class championship golf courses form the anchor of the community and lay the floor for most of the events, amenities, and allure of the community. 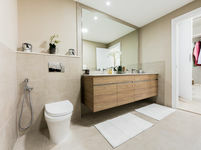 The Golf Club provides ample space for recreation such as swimming, lounging, billiards and table tennis, a gym, and a children’s play area with pool for residents of the community. Unfortunately access to the club requires a membership. Jumeirah Golf Estates Country Club has some great dining options suitable for meals at any time of the day. Swirl is a great relaxed restaurant with stunning food to enjoy with friends and family; while Flame Grill is great for elegant evening dining. Both these restaurants overlook the 18th-hole of the Flame golf course. Golfing and ultra-luxurious homes. 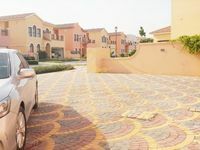 For large homes in a super peaceful part of Dubai, nestled between two premier golf courts. Community amenities in this community, and if you are in the mood to use the Country Club, it comes at a cost. There is no bustling area in Jumeirah Golf Estates, so residents will have to leave the community for some entertainment.